Some low budget businesses are put off by the prospect of spending a lot of money on marketing, but there are small steps that can be taken for big results, meaning you can reach potential customers without spending a fortune. Whilst in the past having a small budget for marketing may have meant not being able to keep up with peers, the rise in internet and social media now means there are effective ways to promote your brand without spending a great deal of money. Time, creativity and commitment are just as important when building your brand. Start off by having a brainstorm of possible ways you could market your business. You can be as imaginative as you like; even if an idea isn’t possible in practise it might get you inspired to try something else. You needn’t think of marketing your business as boring – people pay attention to a brand that is marketed with passion and personality, so don’t think you have to take a corporate and serious approach unless this is particularly suitable for your brand. Having a small budget means you’re going to have to work hard to market your business. You need to build a community creating content that will interest people; write articles, post videos, take the best photographs you can. This won’t happen overnight but will pay off if you put the time in. You are going to be spending a lot of time marketing your company, so make sure you aren’t wasting it by pitching to the wrong people or in the wrong places. If you are a local business think about signing up to free local directories and making connections with your local newspaper’s journalists, as well as getting involved in any community events or projects. If you are trading purely online find the communities online for your service or product. Find out who your target market is and what they read, where they spend their leisure time and where they shop. 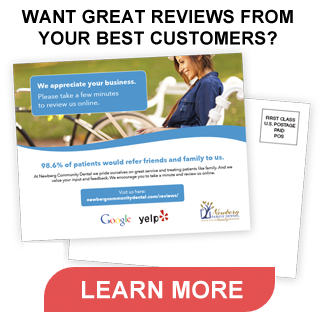 Reviews from happy customers are the best way to promote trust in your company. Encourage satisfied customers to give you a good review for your website, or on somewhere like Tripadvisor if it is relevant. You could offer an incentive such as a discount off their next purchase to say thank you for their time. You could even offer a gift for those that recommend a friend! A blog is a brilliant addition to your website for a variety of reasons: it keeps your current customers up to date with products and business developments, it shows potential customers the people behind the business, and will show the search engines that your site is regularly updated, potentially improving your ranking. If you would prefer not to have a blog on your own site you could consider sending a press release to a blogger in your niche instead. This is a great way to get your name out there. Social media is completely free (well, as long as you avoid the paid advertising options!) but a great way to promote your business. Consider your target market however; if you are aiming at teenagers and young people you will want to use Facebook and Twitter, or if it’s a business try and reach them via LinkedIn. Obviously if your target market is elderly and possibly computer illiterate social media may be wasting your time! Emily Bradbury is writing on behalf of Superdream, a digital agency based in the Midlands. Contact them for all your design and marketing needs!